In this article, you will find information regarding Team Foundation Server 2017. Click the button to download. To learn more about Team Foundation Server 2017, see the Team Foundation Server Requirements and Compatibility page. This update fixes potential cross site scripting (XSS) and other security vulnerabilities. See the blog post for more information. It is a full upgrade, so you can upgrade directly to TFS 2017.0.1. 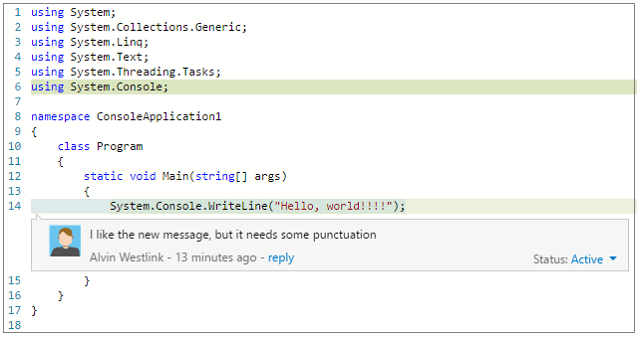 Code Search provides fast, flexible, and accurate search across all your code. As your codebase expands and is divided across multiple projects and repositories, finding what you need becomes increasingly difficult. To maximize cross-team collaboration and code sharing, Code Search quickly and efficiently locates relevant information across all your projects. From discovering examples of an API's implementation, browsing its definition, to searching for error text, Code Search delivers a one-stop solution for all your code exploration and troubleshooting needs (Figure 1). Packages enable you to share code across your organization: you can compose a large product, develop multiple products based on a common shared framework, or create and share reusable components and libraries. Package Management (Figure 2) facilitates code sharing by hosting your packages, sharing them with the people you select, and making them easily accessible to Team Build and Release Management. Package Management eliminates the need to host a separate NuGet server or file share by hosting NuGet packages directly in your Team Foundation Server. It has best-in-class support for NuGet 3.x as well as support for NuGet 2.x legacy clients. It works seamlessly with your existing TFS infrastructure, teams, and permissions, so there is no need to deal with synchronizing identities, managing groups in multiple places, etc. It also integrates easily with Team Build so you can create and use packages in continuous integration workflows. 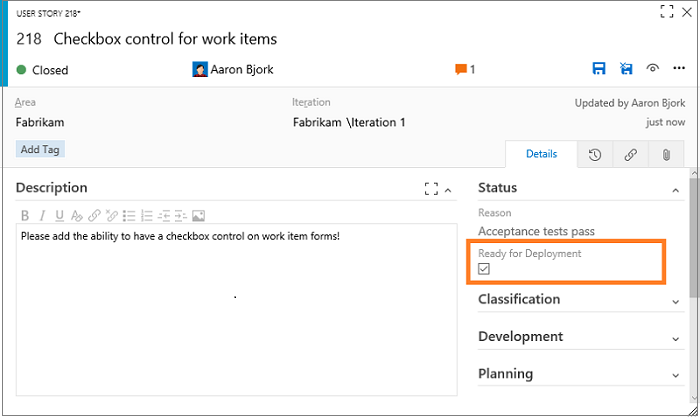 In Team Foundation Server 2017, we have added new features and functionality to work items and Kanban boards. The new work item form is the default for new collections only. If you're migrating an existing collection you will have to enable the new work item form from the admin settings. For more information, see Manage roll out of the new web form. You can now setup an alert for tracking changes to a single work item just by clicking on the new "Follow" button (Figure 4) in the form. When you follow a work item, you will be notified any time the work item changes – including field updates, links, attachments, and comments. Have you been hitting F5 to figure out what is going on throughout the day with your Kanban board? Try the icon in the screenshot below (Figure 5). When anyone in your team creates, updates, or deletes a work item on the board, you will receive live updates on your board immediately. Also, if the administrator makes board or team level updates such as adding a new column or enabling bugs on backlog, you are notified to refresh the board to update your board layout. All you need to do is enable the tower icon on your Kanban board and start collaborating with your team. 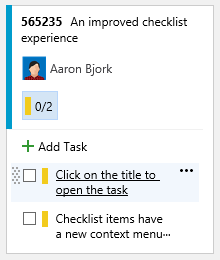 We have made several improvements to how Checklists work. Checklists titles now appear as hyperlinks (Figure 6). You can click on the title to open the work item form. 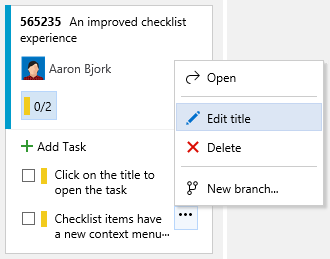 Checklists now also support context menus that allow you to open, edit, or delete checklist items (Figure 7). You now have the ability to drill down on your Epic and Feature boards (Figure 8). The checklist format lets you easily mark work as completed, and provides a handy bird's eye view of the completed versus outstanding work. We are giving you more control of the additional information that shows on the cards on your boards. 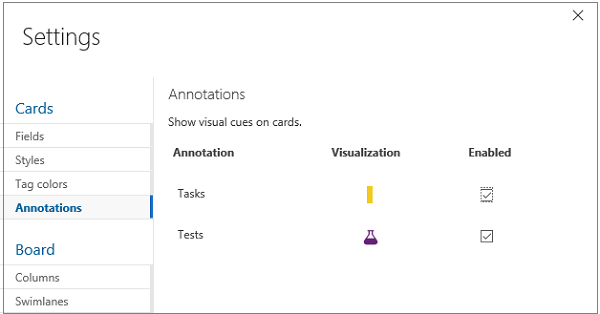 You can now select annotations that you want to view on your Kanban cards (Figure 9). Simply unselect an annotation and it disappears from the cards on your Kanban board. The first two annotations to show up here are child work items (tasks in this example) and the Test annotation. We have added a new command to all rich text controls on work items that lets you clear all formatting from selected text. If you're like most users, you've probably been burned in the past by copying and pasting formatted text into this field that you cannot undo (or clear). Now you can simply highlight any text, select the Clear Formatting toolbar button (or press CTRL+Spacebar), and you will see the text return to its default format. Personalize your Kanban boards by setting filters on users, iterations, work item types, and tags (Figure 10). These filters persist so that you can view your personalized board, even when you connect from multiple devices. When you create a new work item from the Queries tab or from the New Work Item dashboard widget, the iteration path of that work item is always set to the current iteration. This is not what all teams want, because it means that bugs could show up on the task board immediately. 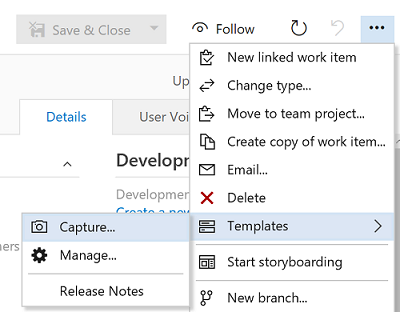 With this improvement, teams can choose the default iteration path (a specific one or the current iteration) that should be used for new work items. Navigate to the administration area for your team to choose a default iteration. For more information, see the Customize area and iteration paths page. You can now add a checkbox control to your work items (Figure 11). This new field type (Boolean) has all the properties of normal fields and can be added to any type in your process. When displayed on cards or in a query result, the value is shown as True/False. You can now add and remove tags from multiple work items using the bulk edit dialog (Figure 12). We have added a new contribution point on the board and backlog pages to allow you to write extensions as a pivot tab next to Board/Backlog/Capacity tabs. We have exposed a new extension point on the backlog. Extensions can target the pane on the right side, where mapping and work details are today (Figure 13). We have significantly improved the formatting and usability of work item alerts, follows, and @mention emails sent by TFS (Figure 14). Emails now include a consistent header, a clear call to action, and improved formatting to make sure the information in the mail is easier to consume and understand. Additionally, all these emails are being designed to ensure they render well on mobile devices. We added the ability to create rich work item templates directly into the native web experience (Figure 15). This capability was previously very limited in the web, and only available in this new form through a Visual Studio power tool. 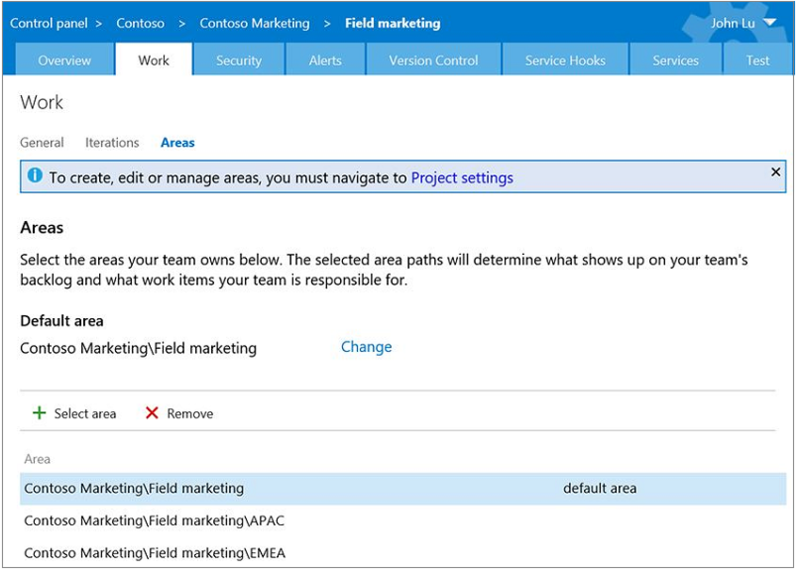 Teams can now create and manage a set of templates for quickly modifying common fields. After upgrade, the Project Server integration no longer operates. We have redesigned our widget catalog to accommodate the growing set of widgets and deliver a better overall experience (Figure 16). The new design includes an improved search experience and has been restyled to match the design of our widget configuration panels. 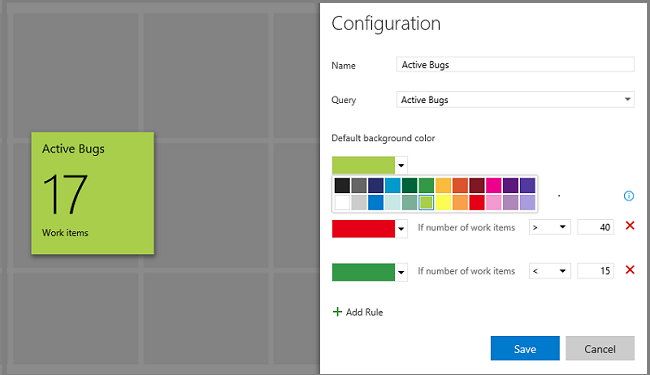 The Query Tile widget now supports up to 10 conditional rules and has selectable colors (Figure 17). This is extremely handy when you want to use these tiles as key performance indicators (KPI) to identify health and/or action that may be needed. The Pull Request widget now supports multiple sizes, allowing users to control the height of the widget. We're working on making most of the widgets we ship resizable, so look for more here. The New Work Item widget now allows you to select the default work item type, instead of forcing you to select the most common type you're creating over and over from the drop-down list. We have made the WIT chart widgets resizable. This allows users to see an expanded view of any WIT chart on the dashboard regardless of its original size. We have updated the Team Members widget to make it easier to add somebody to your team (Figure 18). Teams can now configure the size of the dashboard's Query Results widget, allowing it to display more results. 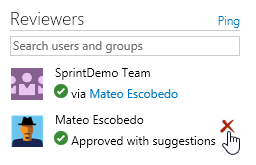 The Sprint Overview widget has been redesigned making it easier for teams to see if they are on track. 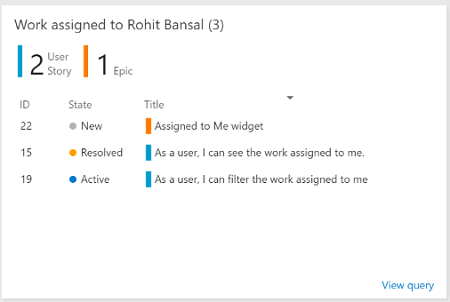 The Assigned to Me widget helps users manage the work assigned to them without leaving the dashboard context (Figure 19). By providing a widget dedicated to this purpose, team admins can add this functionality to their dashboards with 16 fewer clicks, no context switches and no typing required. Users can now view, sort, filter, and manage the work assigned to them within the widget context. 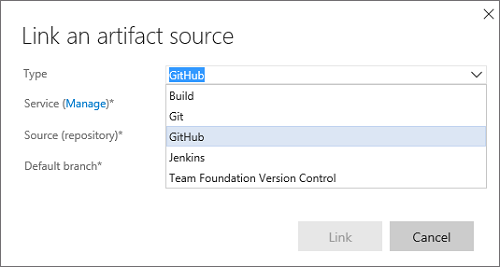 Some major changes have been made in Git for Team Foundation Server 2017. 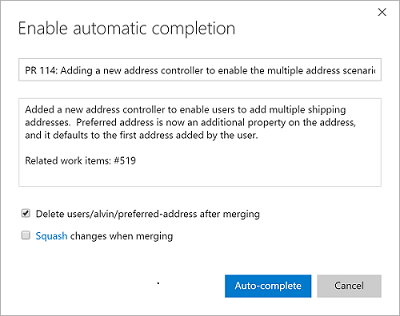 Included are a redesign of the Branches page and a new option to "squash merge". The Branches page has been completely redesigned. It has a "mine" pivot that shows the branches you created, pushed to, or favorited (Figure 20). Each branch shows its build and pull requests status, as well as other commands like Delete. If there is a slash in a branch name, like "features/jeremy/fix-bug", it's shown as a tree, so it's easy to browse through a large list of branches. If you know the name of your branch, you can search to find the one you want quickly. When opening a pull request, the new look and feel is evident immediately (Figure 21). We have reorganized the header to summarize all the critical state and actions, making them accessible from every view in the experience. The Overview now highlights the PR Description and makes it easier than ever to give feedback (Figure 22). Events and comments are shown with the newest items on top to help reviewers see the latest changes and comments front and center. Policies, work items, and reviewers are all provided in detail and reorganized to be more clear and concise. The biggest new feature in this release is the ability to see past updates made to a pull request (Figure 23). In previous previews, we released the ability to properly track comments as a PR is updated with changes. However, it's not always easy to see what's between updates. In the Files view, you can now see exactly what changed each time new code is pushed to your PR. This is very useful if you've given feedback on some code and want to see exactly how it changed, isolated from all the other changes in the review. The new Updates view shows how the PR is changing over time (Figure 24). Where the Files view shows how the files have changed over time, the Updates view shows the commits added in each update. If a force push ever happens, the Updates view will continue to show the past updates as they occurred in history. Use the full power of markdown in all your discussions, including formatting, code with syntax highlighting, links, images, and emoji (Figure 25). The commenting controls also have a more user friendly editing experience allowing multiple comments to be edited (and then saved) at one time. It is now easier to add and remove reviewers from your pull requests. To add a reviewer or group to your pull request, simply enter their name into the search box in the Reviewers section. To remove a reviewer, hover over their tile in the Reviewers section and click the X to remove them (Figure 26). The traceability between builds and pull requests has improved, making it easy to navigate from a PR to a build and back. In the build details view for a build triggered by a pull request, the source will now show a link to the pull request that queued the build. In the Build Definitions view, any build triggered by a pull request will provide a link to the pull request in the "Triggered By" column. 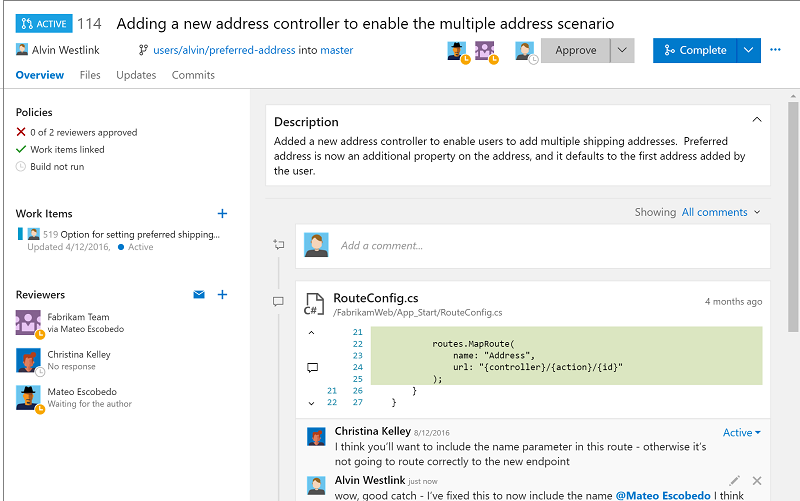 Finally, the Build Explorer view will list pull requests in the source column. 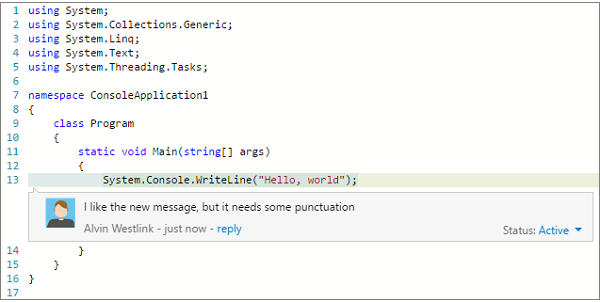 Pull requests in VSTS have been improved to show comments left in files on the proper line, even if those files have been changed since the comments were added. Previously, comments were always shown on the line of the file where they were originally added, even if the file contents changed—in other words, a comment on line 10 would always be shown on line 10. With the latest improvements, the comments follow the code to show what the user expects—if a comment is added on line 10, and two new lines were subsequently added to the beginning of the file, the comment is shown on line 12. Even after the code has changed to shift the line with the original comment from 13 to 14, the comment is appearing in the expected place on line 14 (Figure 28). 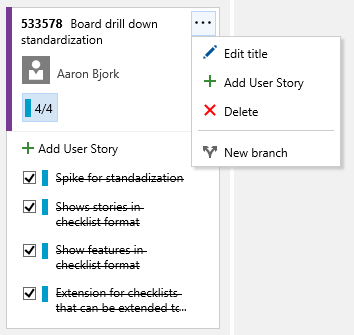 Teams that are using branch policies https://docs.microsoft.com/vsts/git/branch-policies?view=vsts to protect their branches will want to check out the auto-complete action. Many times, the author of a pull request is ready to merge their PR, but they are waiting on a build to finish before they can click Complete. Other times, the build is passing, but there is one reviewer that has not given the final approval. In these cases, the auto-complete action lets the author set the PR to automatically complete as soon as the policies are all approved (Figure 29). Just like the manual complete action, the author has a chance to customize the message of the merge commit and select the appropriate merge options (Figure 30). Once auto-complete has been set, the PR will display a banner that confirms that the auto-complete is set and waiting for policies to complete (Figure 31). When all the policies are met (e.g., the build completes, or that final approval is granted), the PR is merged using the options and comments specified. As expected, if there is a build failure or the reviewer does not approve, the PR remains active until the policies are passing. When completing a pull request, you now have the option to squash merge (Figure 32). This new option produces a single commit containing the changes from the topic branch that is applied to the target branch. The most notable difference between a regular merge and a squash merge is that the squash merge commit will only have one parent commit. This will mean a simpler history graph, as any intermediate commits made to the topic branch will not be reachable in the resulting commit graph. Build status (success or failure) is now clearly visible in the Code Explorer and Commit Details views (Figure 33). More details are just a click away, so you will always know if the changes in the commit passed the build or not. You can also customize which builds post status in the repository options for the build definition. 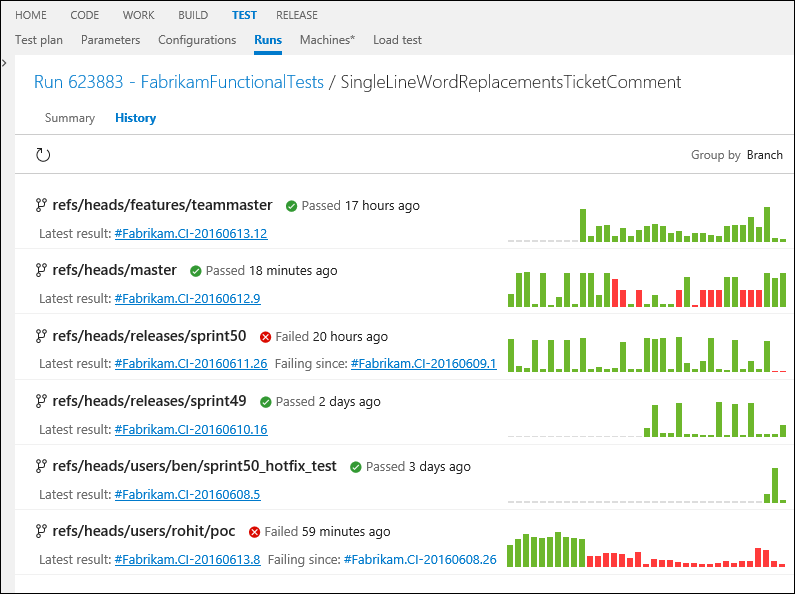 Additionally, the latest changes to the Commit Details view provide deeper insights about your changes. If you're using pull requests to merge your changes, you will see the link to the pull request that introduced the changes into the master branch (or in the case of a merge commit, the PR that created it). When your changes have reached master, the branch link will appear to confirm that the changes have been included. If you're already working with large files in Git (audio, video, datasets, etc. ), then you know that Git Large File Storage (LFS) replaces these files with pointers inside Git, while storing the file contents in a remote server. This makes it possible to view the full contents of these large files by simply clicking the file in your repo. Share code references easily with code links (Figure 34). Just select text in a file and click the Link icon. It will copy a link to the selected code. When someone views that link, the code you highlighted will have a gold background. It even works for partial line selections. Success or failure of the build is now clearly visible in the code explorer and commit details views (Figure 35). More details are just a click away, so you always know if the changes in the commit passed the build or not. You can also customize which builds post build status in the repository options for the build definition. You will see new file icons matching the extension of the file in the explorer, pull requests, commit details, shelveset, changeset or any other view that shows a list of files (Figure 36). The new Git repository creation has been improved by providing users the ability to add a ReadMe file (Figure 37). Adding a ReadMe to the repository not only helps others understand the purpose of the codebase, but also allows you to immediately clone the repository. In this release, we have increased the size of the logs, added Java build templates, and improvements to our Xamarin support to name a few changes. We have implemented a new design for the Queued builds page that shows a longer list of queued and running builds, and in a more intuitive fashion (Figure 38). Build result section extensions can now specify which column and the order in which they appear (Figure 39). The result view has two columns, and all extensions are in the first column by default. Note: All third-party extensions will appear after the build result sections we include. We have made it even easier for Java developers to get started with build by adding build templates for Ant, Maven, and Gradle (Figure 41). 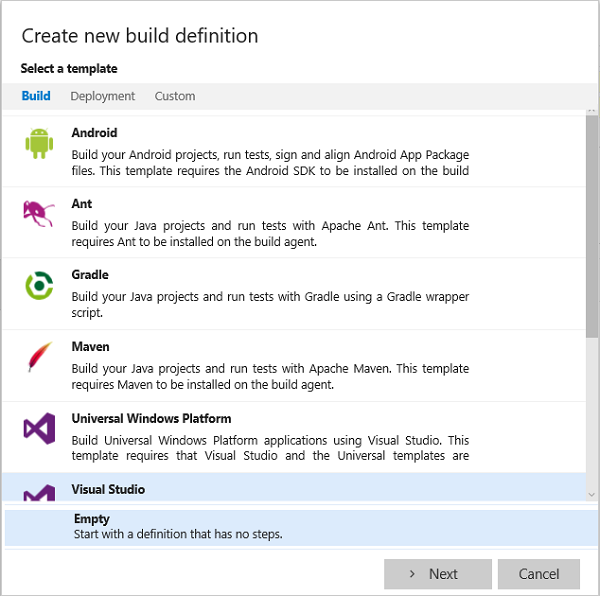 The Xamarin License step is no longer necessary and has been removed from the build templates. As part of this effort we are deprecating the task. All build definitions that use this task should be updated to remove it in order to prevent any disruption when the task is finally removed. Finally, we have enhanced the Xamarin build definition templates to use these new tasks. Build your Xamarin app. 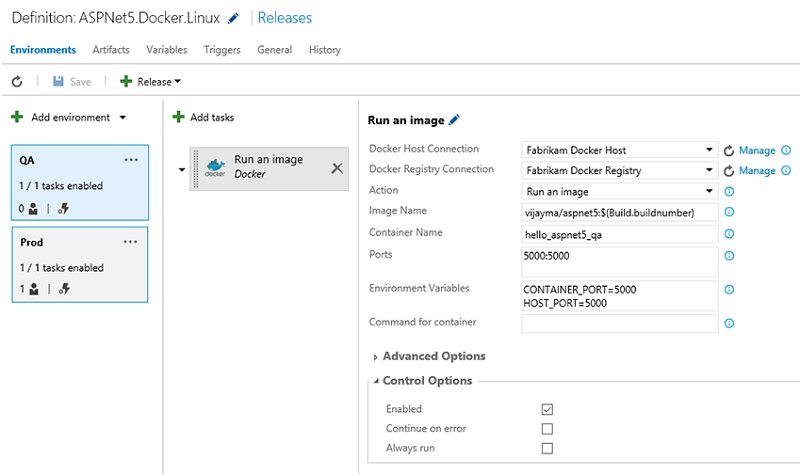 Take advantage of the build capabilities to build your Docker images and upload them to the Docker Hub as part of your continuous integration flow (Figure 42). Then, deploy those images to a number of Docker hosts as part of Release Management. The Marketplace extension adds all the service endpoint types and tasks necessary for you to work with Docker. 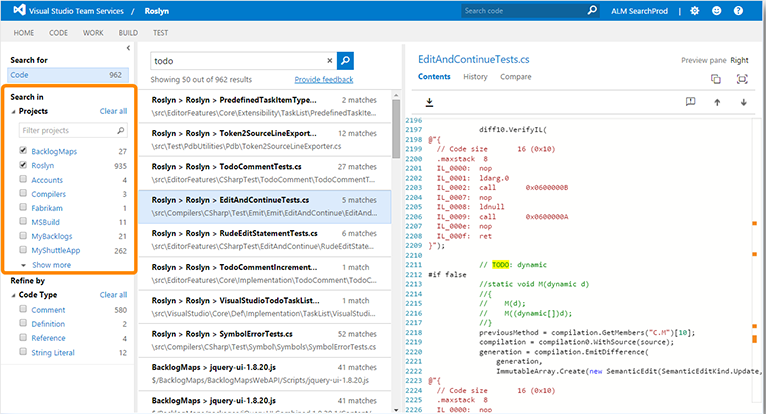 If the build run to merge a pull request contains SonarQube MSBuild tasks, you will now see new code analysis issues as discussion comments in the pull request (Figure 43). This experience works for any language for which a plug-in is installed on the SonarQube server. 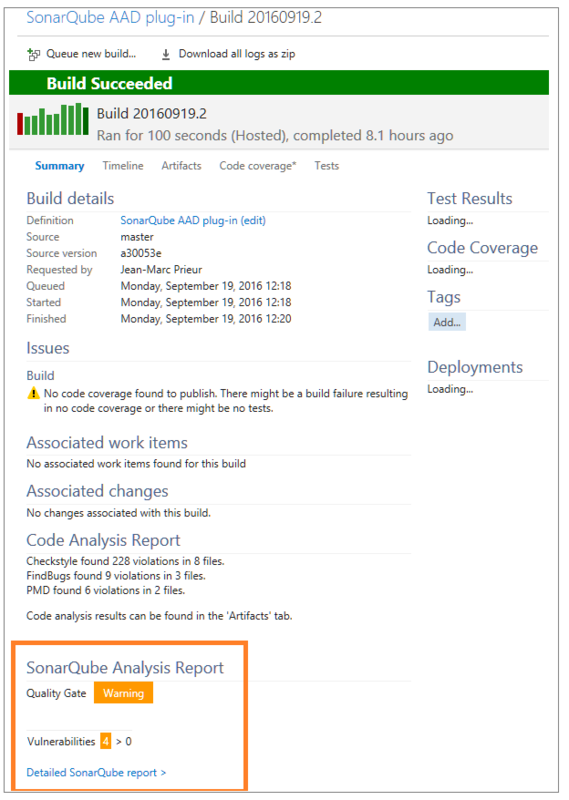 For more information, see the SonarQube Code Analysis issues integration into Pull Requests blog post. 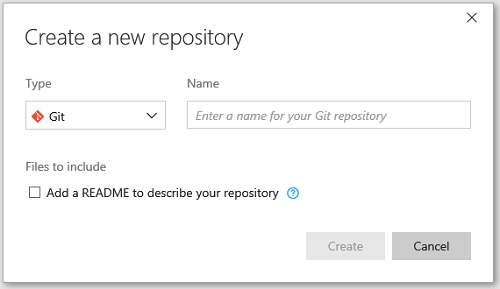 CI triggers for hosted Git repositories can include or exclude certain paths. This enables you to configure a build definition to run only when files in specific paths have changed (Figure 44). We have incorporated the ability to clone, export, and import release definitions within Release hub, without requiring installation of an extension (Figure 45). For more details, see Clone, export, and import a release definition documentation. 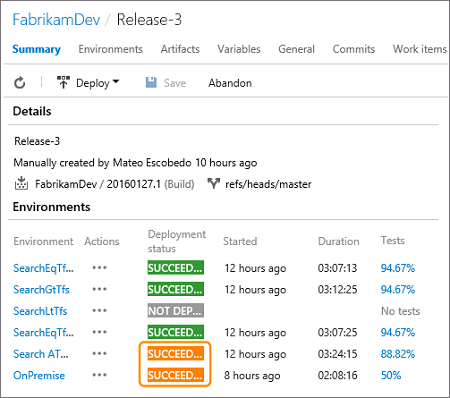 In Team Services, this functionality is used to display a summary of test results when tests are run as part of a release environment (Figure 46). 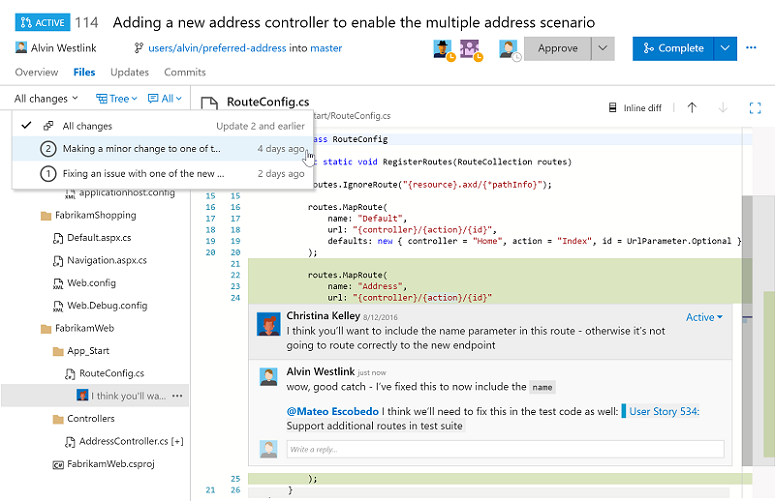 For more details, see Understand the summary view of a release documentation. 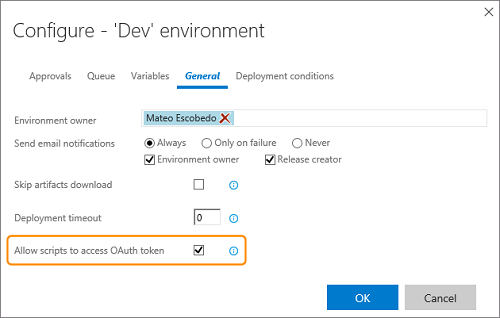 A new option when you configure an environment allows scripts to run as tasks in the environment to access the current OAuth token (Figure 47). For more details, see Environment general options documentation. The same behavior is now available in release definitions. If a task fails, the overall release result will show as "Release partially succeeded" (Figure 49). 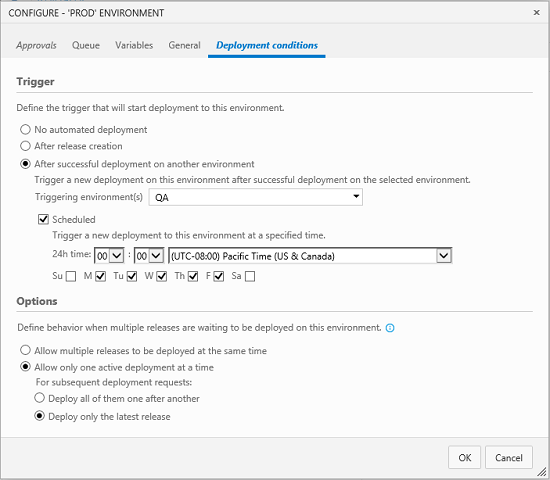 However, a new option can be set in each release environment that instructs Release Management to trigger a release to a subsequent environment when the previous release is partially successful (Figure 50). For more details, see Environment deployment triggers documentation. You can now do the same if your code is stored in a GitHub repository (Figure 51). For more details, see TFVC, Git, and GitHub sources documentation. More features, such as configuration transformations, may appear in forthcoming versions (Figure 52). 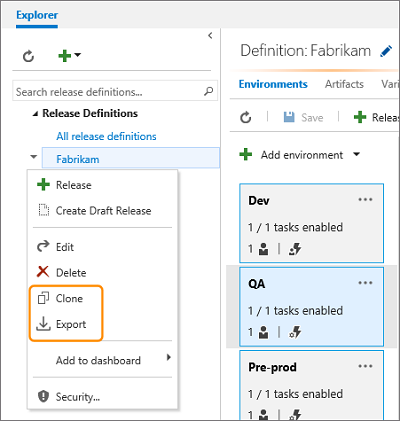 A task group lets you encapsulate a sequence of tasks already defined in a build or a release definition into a single reusable task that can be added to a build or release definition just like any other task (Figure 53). For more details, see Task Groups documentation. You can restore any of these releases by opening the shortcut menu and choosing Undelete (Figure 54). For more details, see Restore deleted releases documentation. 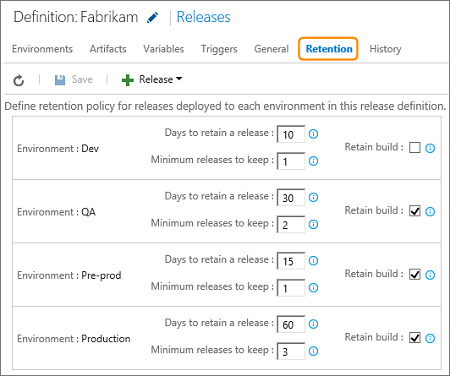 The release retention policy for a release definition determines retention duration for a release and linked build. By default, a release is retained for 60 days. Releases that have not been deployed or modified during that time are automatically deleted. 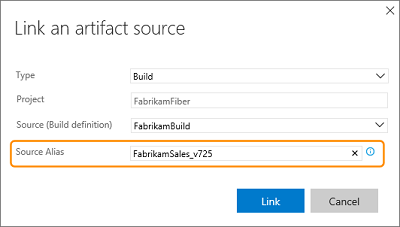 You can also retain the build linked to a release for the same period as the release to ensure that the artifacts are available if you need to redeploy that release (Figure 55). For more details, see Release and build retention documentation. You can link multiple artifact sources to a release definition (Figure 56). Each artifact is downloaded into a folder on the agent called the source alias. You can now edit the source alias of a linked artifact. For example, when you change the name of the build definition, you can edit the source alias to reflect the name of the build definition. 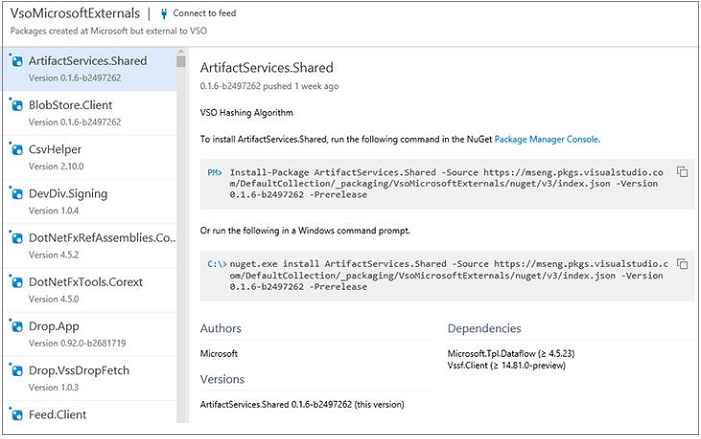 For more details, see [Artifact source alias](https://docs.microsoft.com/vsts/pipelines/release/artifacts?view=vsts#source-alias) documentation. A number of variables of the format Build. * (such as Build.BuildId and Build.BuildNumber) are exposed for use in task parameters. When multiple sources are associated with a release, these variables now populate with values from the artifact source you specify as the primary source. For more details, see Artifact variables documentation. 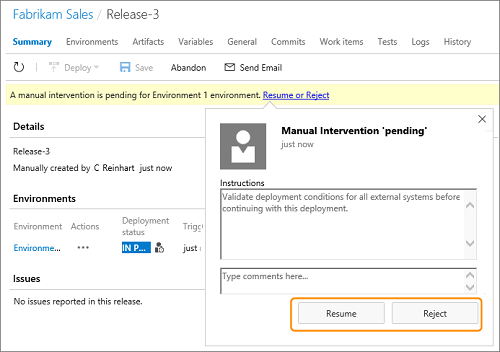 You can also reject the deployment and prevent further steps from executing after a manual intervention (Figure 57). For more details, see Manual intervention documentation. 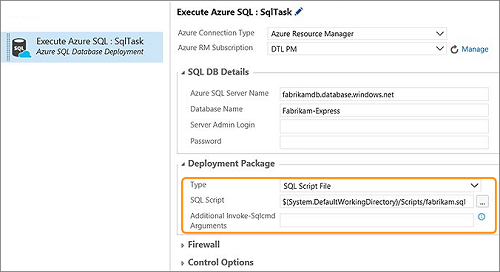 The Azure SQL Database Deployment (Figure 58) task has been enhanced to run SQL scripts against an Azure SQL Database. The scripts can be provided as a file, or inline within the task. 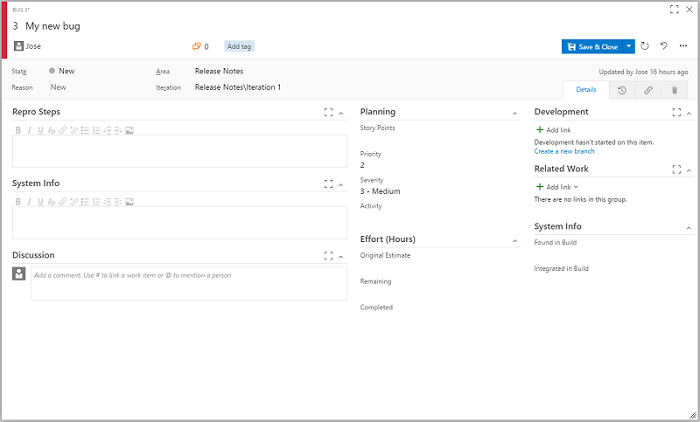 Pin a release definition to the dashboard - an easy way to make a summary of releases for that definition visible to all your team. For more details, see Add release information to the dashboard documentation. Want all your production deployments to happen at midnight? 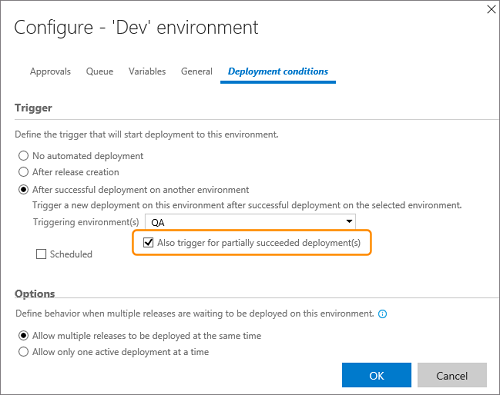 You can configure a condition on an environment that selects a successful deployment (or just the latest one) from another environment, and deploys it at the specified time (Figure 59). For more details, see Parallel forked and joined deployments documentation. For more information, see the API reference documentation. You will find some basic examples that use the APIs in this blog post, Using ReleaseManagement REST API's. 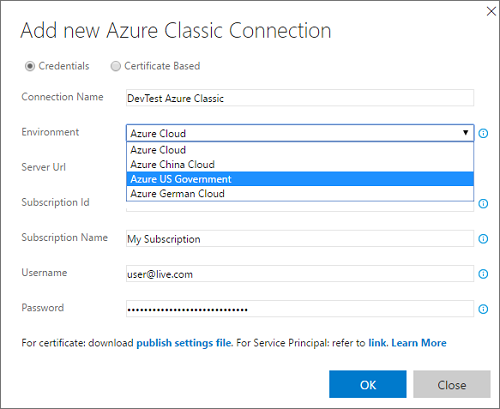 Use the new Environment setting in an Azure Classic service endpoint to target a specific Azure cloud, including pre-defined national clouds such as Azure China cloud, Azure US Government cloud, and Azure German cloud (Figure 60). 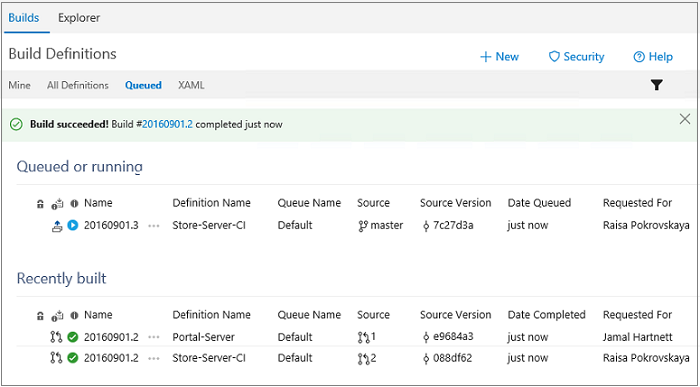 For more details, see Azure Classic service endpoint documentation. In this release, we are migrating the test result artifacts to a new compact and efficient storage schema. Since test results are one of the top consumers of storage space in TFS databases, we expect this feature to translate into reduced storage footprint for TFS databases. For customers who are upgrading from earlier versions of TFS, test results will be migrated to the new schema during TFS upgrade. This upgrade may result in long upgrade times depending on how much test result data exists in your databases. It is advisable to configure the test retention policy and wait for the policy to kick in and reduce the storage used by test results so that the TFS upgrade is faster. After installing TFS, but before upgrading the TFS instance, you can use the TFSConfig.exe tool to clean up test results. See TFSConfig.exe help for more details. If you do not have the flexibility to configure test retention or clean up test results before upgrade, make sure you plan accordingly for the upgrade window. 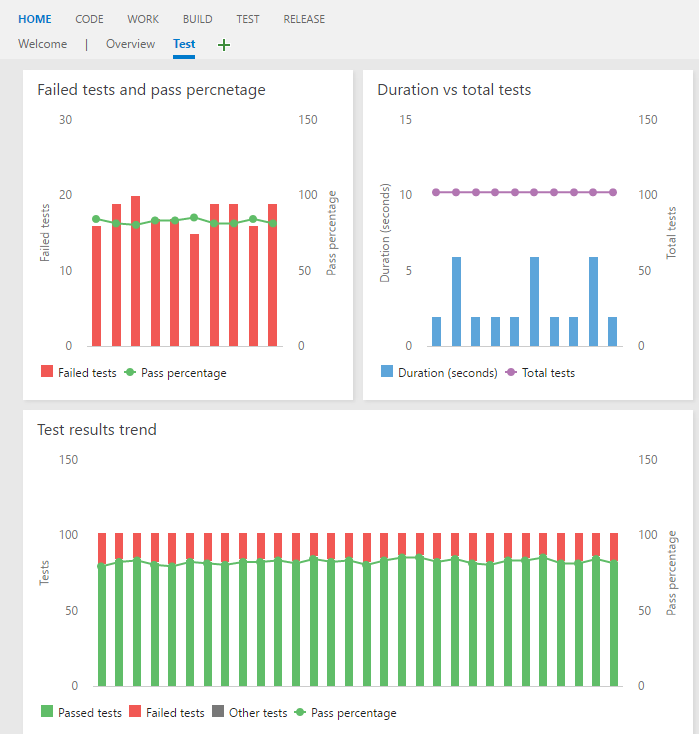 See Test result data retention with Team Foundation Server 2015 for more examples about configuring test retention policy. We have brought test configuration management to the web UI by adding a new Configurations tab within the Test Hub (Figure 61). 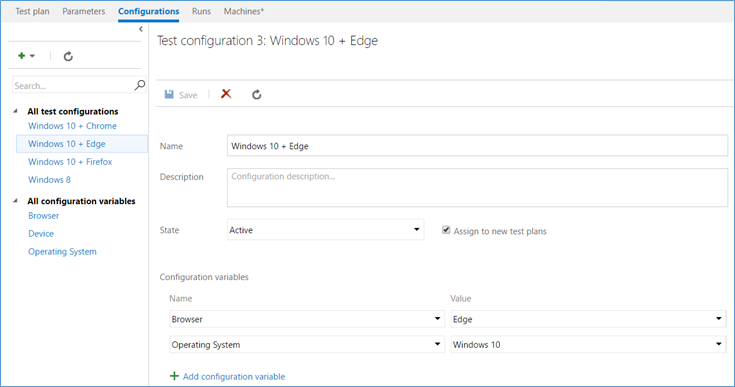 Now you can create and manage test configurations and test configuration variables from within the Test hub. Assigning configurations just got easier. You can assign test configurations to a test plan, test suite, or test case(s) directly from within the Test hub (Figure 62). Right-click an item, select Assign configurations to …, and you're off and running. You can also filter by Configurations in the Test hub (Figure 63). 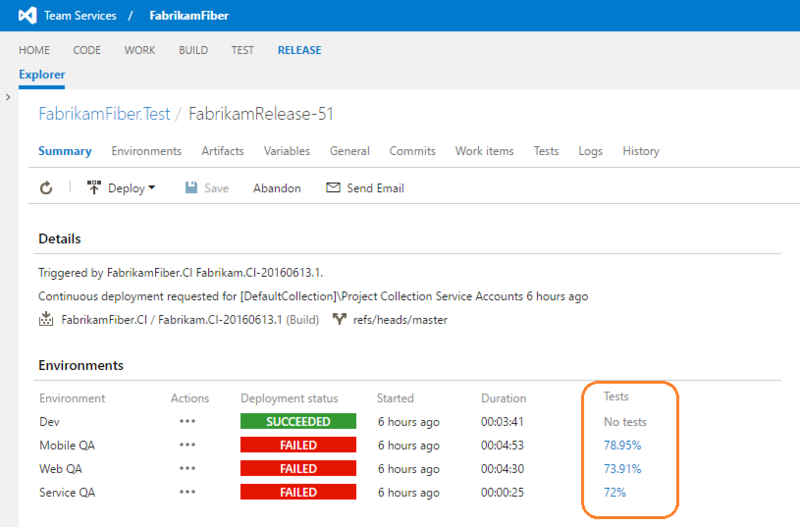 We have added new columns to the Test results pane that show you the test plan and test suite under which the test results were executed in. These columns provide much-needed context when drilling into results for your tests (Figure 64). You can now order manual tests from within the Test Hub (Figure 65), irrespective of the type of suite in which they are included: static, requirement-based, or query-based suites. 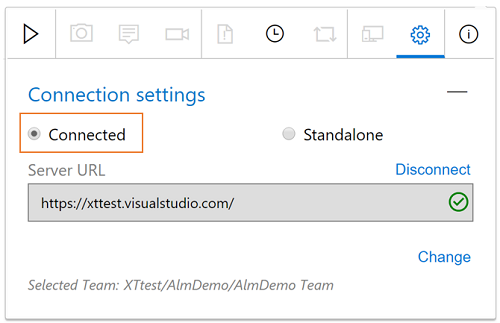 You can simply drag and drop one or more tests or use the context menu to reorder tests. Once the ordering is completed, you can sort your tests by the Order field and then run them in that order from the Web runner. You can also order the tests directly on a user story card on the Kanban board (Figure 66). This completes one of the long-pending user voice items (with 495 votes) under manual testing. Test teams can now order the test suites as per their needs. Prior to this capability, the suites were only ordered alphabetically. Now, using the drag/drop capability in Test hub, suites can be re-ordered among the peer suites or moved to another suite in the hierarchy (Figure 67). This addresses the following user voice item under manual testing/test case management. 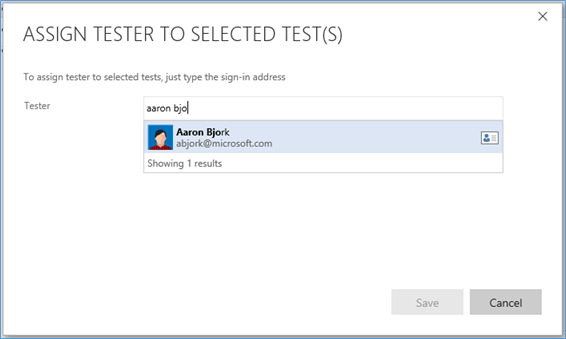 As part of the rollout of new identity picker controls across the different hubs, in Test hub, we have also enabled the option to search for users when assigning testers to one or more tests (Figure 68). This is extremely useful in scenarios where the number of team members is large, but the context menu only shows a limited set of entries *(Figure 69). 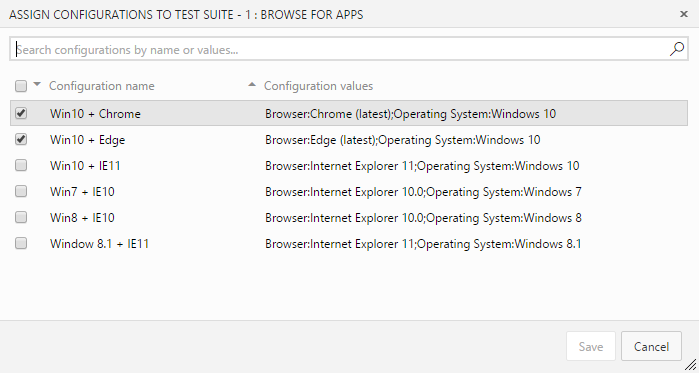 You can now pick the "build" you want to test with and then launch the Web runner, using 'Run with options' in Test hub (Figure 70). Any bug filed during the run is automatically associated with the build selected. In addition, the test outcome is published against that specific build. 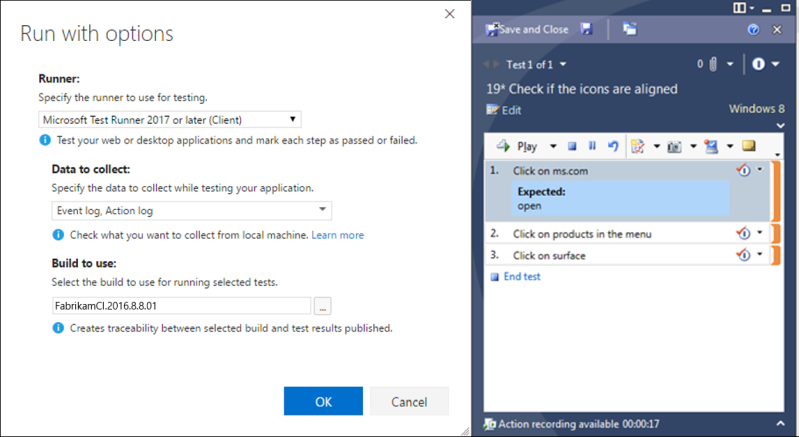 You can now choose your data collectors & build to associate with the test run (Figure 71), and launch the Microsoft Test Runner 2017 (client) in a performant way from Test hub, without having to configure them in Microsoft Test Manager client. The Microsoft Test Runner launches without opening the entire Microsoft Test Manager shell and will shut-down on completion of the test execution. 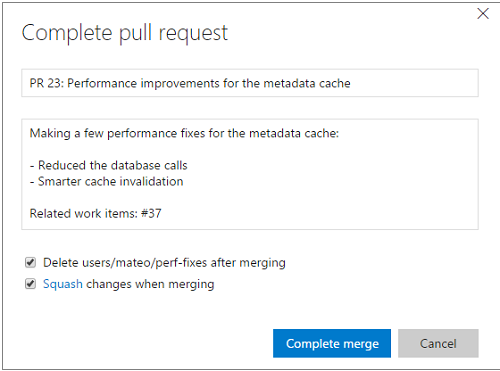 You can now choose your data collectors and launch the Exploratory Runner 2017 (client) in a performant way from Test hub, without having to configure them in Microsoft Test Manager client. Invoke 'Run with options' from the context menu (Figure 72) for a Requirement based suite and choose Exploratory runner and the data collectors you need. 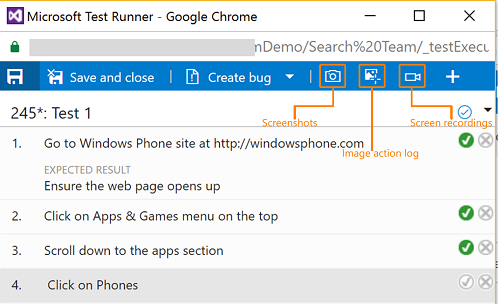 The Exploratory runner launches similar to Microsoft Test Runner as described above. We have now added the ability to configure the behavior of test outcomes for tests shared across different test suites under the same test plan (Figure 73). 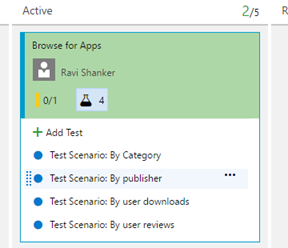 If this option is selected, and you set the outcome for a test (mark it as Pass/Fail/Blocked either from the Test hub, Web runner, Microsoft Test Runner, or from cards on Kanban board), that outcome will propagate to all the other tests present across different test suites under the same test plan, with the same configuration. 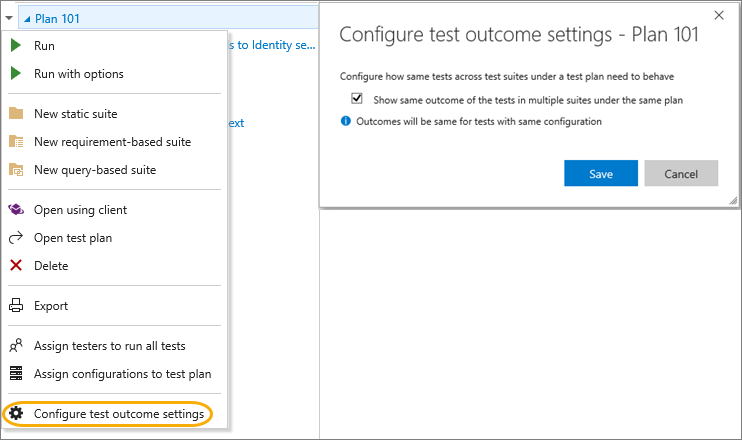 Users can set the "Configure test outcomes" option for a particular test plan either from the Test hub test plan context menu or from the Kanban board test page in the common settings configuration dialog. This option is turned off by default and you will have to explicitly enable it to take effect. You can now verify a bug by re-running the tests which identified the bug (Figure 74). You can invoke the Verify option from the bug work item form context menu to launch the relevant test case in the web runner. Perform your validation using the web runner and update the bug work item directly within the web runner. 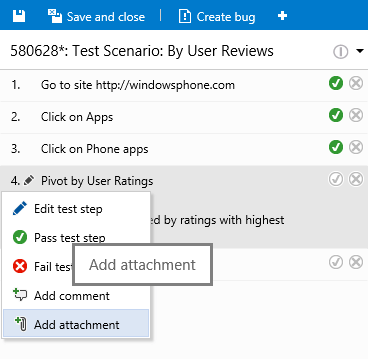 We have added REST APIs for cloning of test plans and test suites. You can find them under the Test Management section on our Team Services Integrate site. You can now add, view, and interact with test cases directly from your stories on the Kanban board. Use the new Add Test menu option to create a linked Test case, and then monitor status directly from the card as things progress (Figure 75). You can now easily traverse to the underlying test plan/test suite under which the tests are created, directly from a card on the Kanban board. 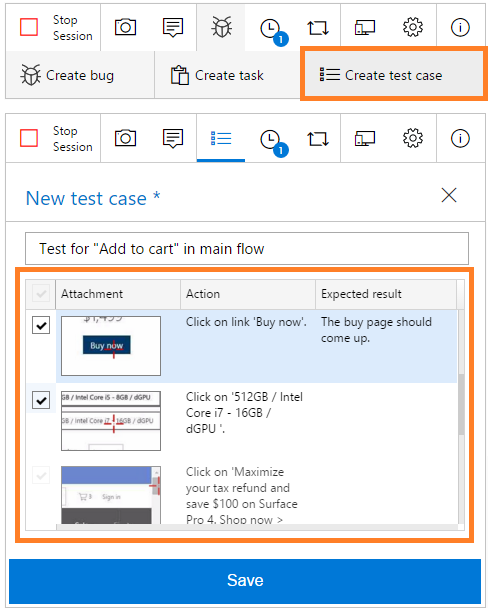 Clicking on this link (Figure 76) will take you to the Test hub, open the right test plan, and then select the specific suite that controls those inline tests. 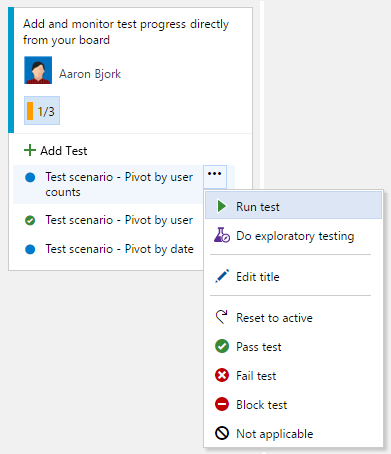 Use the new Tests page in common settings configuration dialog on Kanban board to control the test plan where the inline tests are created (Figure 77). 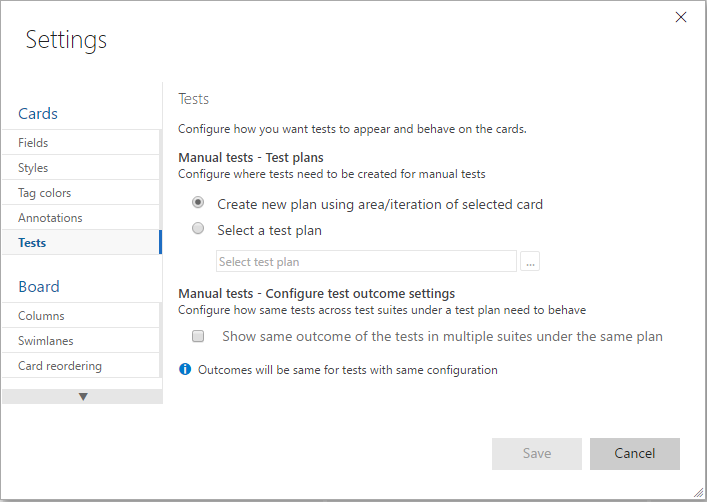 Previously, any tests created on a card would automatically be added to a newly created test plan, provided no test plans existed that matched the area & iteration paths of the card. Now, you can override this behavior by configuring an existing test plan of your choice – all the tests are added to the selected test plan. Note that this functionality is only enabled if the Test annotation is turned on. We have enhanced the Web test runner to give you the ability to add test step attachments during manual testing (Figure 78). These step result attachments automatically show up in any bugs you file in the session and subsequently in the Test results pane. You can now take screenshots and annotate them inline when you use Web runner in Chrome (Figure 79). You can also capture on-demand screen recordings of not just the web apps, but also your desktop apps. These screenshots and screen recordings are automatically added to the current Test step. In addition to screenshots & screen recordings, you can also capture on-demand image action log from your web apps. You need to specify the browser window on which to capture your actions – all actions on that window (any existing or new tabs you open in that window) or any new child browser windows you launch, will automatically be captured and correlated against the test steps being tested in the Web runner. These screenshots, screen recordings and image action logs are then added to any bugs you file during the run and attached to the current test result. Similarly, the system information data is automatically captured and included as part of any bugs you file from the Web runner. All these leverage the capability from the Chrome-based Test & Feedback extension. When running tests in Web runner, launched either from a card on the board or from a requirement-based suite in Test hub, any new bugs filed will now be automatically created as a child to that user story. Similarly, if you are exploring a user story from the exploratory testing extension, any new bugs you file are also created as a child to that user story. This new behavior allows for simpler traceability across stories and bugs. This is applicable only if the "Working with bugs" settings in the Common Settings Configuration page is set to "Bugs do not appear on backlogs or board" or "Bugs appear on the backlogs and boards with tasks". For all other settings for "Working with bugs" option and in certain other scenarios, such as adding to an existing bug that already has a parent defined, a Related link is created instead. In addition to creating new bugs from the Web runner, now you can also update an existing bug (Figure 80). All the diagnostic data collected, repro steps, and links for traceability from the current session are automatically added to the existing bug. 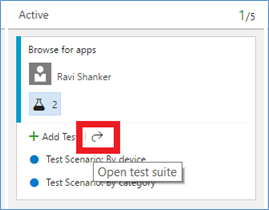 • Directly from a work item (Figure 81): Launch exploratory testing session for a specific work item directly from within the product using the "Do exploratory testing" option in the context menu. We have added entry points on all cards, grids, and in the Test hub. • Within the extension (Figure 82): Search for a work item from within the XT session and then associate it with the ongoing session. Image Action Log: The extension gives you a new option to add the steps that lead you to the bug automatically with just one click. Select the "Include image action log" option (Figure 83) to capture the mouse, keyboard, and touch actions, and add the corresponding text and images directly into the bug or task. Screen recording as video: You can also capture on-demand screen recordings using the extension. These screen recordings can be captured not just from the web apps, but also your desktop apps. You can configure the extension to automatically stop screen recordings and attach them to a bug being filed using the extension's "Options" page. Page Load Data: We have added a new background capture capability to the extension – capturing of "web page load" data. 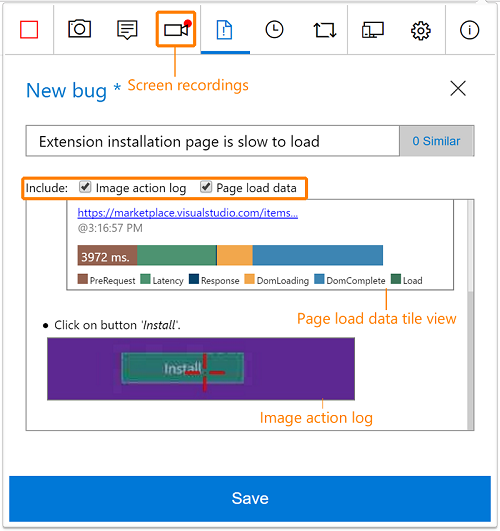 Just like the "image action log" captured your actions performed on a web app being explored, in the form of images in the background, the "page load" functionality automatically captures details for a web page to complete the load operation. Instead of relying on subjective/perceived slowness of web page load, you can objectively quantify the slowness in the bug now. Once the bug is filed, in addition to the tile view, a detailed report is also attached to the bug, which can help the developer with their initial set of investigations. When you create test cases during your exploratory session, the test steps with images are automatically filled in for you (Figure 84). Simultaneous test design and test execution is the basis of true exploratory testing, and this new capability makes this a reality. You can edit the text captured, add the expected result, uncheck rows not relevant, and save it for upcoming test passes/runs. The summary view that shows a breakdown of the work items explored, the work items created, and the session owners, along with the total time spent on these sessions (Figure 85). The group-by view can be pivoted by either explored work-items, sessions, session owners, or none. For any pivot, you can either view the list of all work items (bugs, tasks, test cases) created or scope the list down to a specific work item type. In addition to seeing the details of all the explored work items in the "recent exploratory sessions" view, filtered by all/my sessions for a given date range, we have now added the ability to also see a list of all work items that have NOT been explored, in the same view (Figure 86). 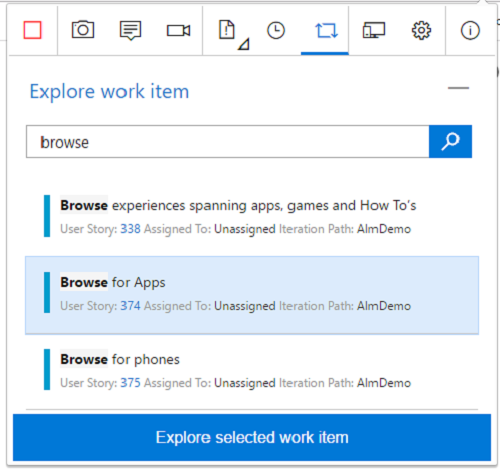 You start by specifying a shared query for work items that you are interested in and the sessions page shows a list of all the work items from the query, with a breakdown of both explored and unexplored items in the summary section. In addition, using the "Unexplored Work Item" group by pivot, you can see the list of items that have not been explored yet. This is extremely useful to track down how many stories have not been explored or gone through a bug-bash yet. 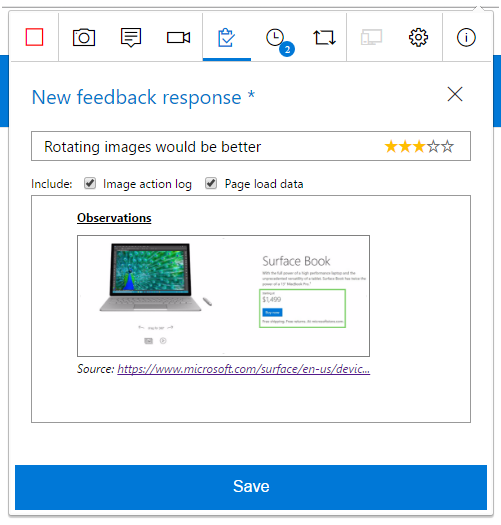 Users with basic access level can now request feedback from stakeholders directly for ongoing or completed features/stories using the Request Feedback option in the work item menu (Figure 87). This opens the Request feedback form where you can choose the stakeholders you want feedback from and optionally provide a simple set of instructions prompting for the areas of the product you would like input. This will send off individual mails to the selected stakeholders along with the instructions provided, if any. 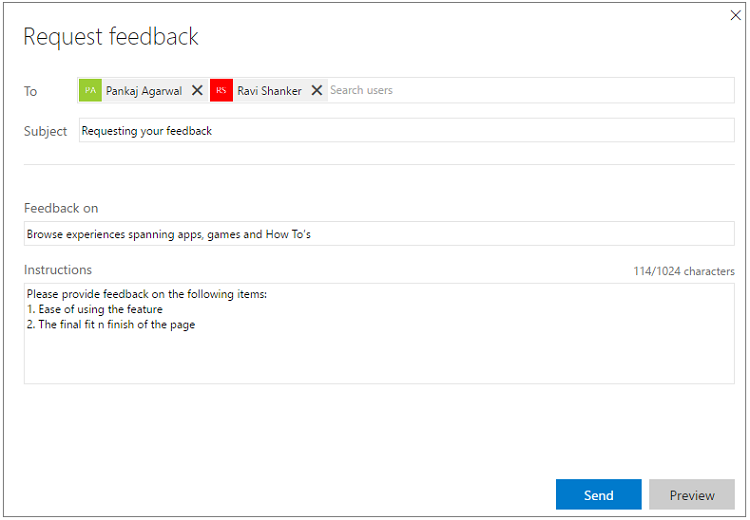 Stakeholders can respond to the feedback request by clicking the Provide feedback link in the mail they received, which automatically configures the Test & Feedback extension (formerly Exploratory Testing extension) with the selected feedback request (it will prompt to install the extension, if not already installed). Stakeholders can then use the full capture capabilities of the extension to capture their findings and submit their feedback in the form of feedback response/bug/task work items. Additionally, stakeholders can navigate to the "Feedback requests" page to view in one place all feedback requests received by them. 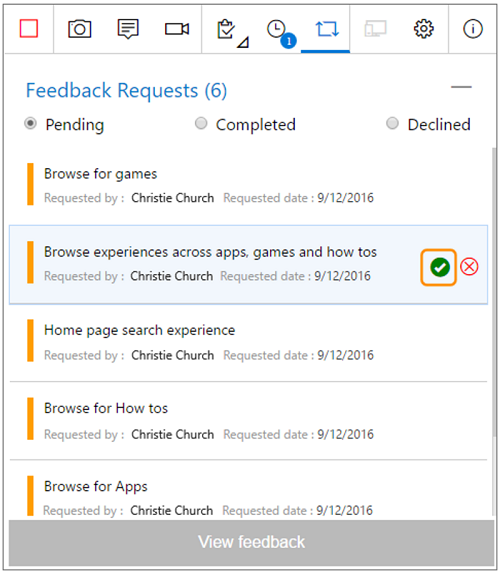 From the list, they can select the feedback request they want to provide feedback on, manage their "Pending feedback requests" (Figure 88) by marking them as complete or by declining them and can switch between different types of feedback requests by clicking on the desired radio button (Figure 89). In addition to the solicited flow mentioned above, stakeholders can also use the extension to provide voluntary feedback (Figure 90). They can open the extension, select the "Connected" mode in the Connection settings page, and connect to the account and Project/Team to whom they wish to provide feedback. They can then use the extension to capture their findings and submit their feedback in the form of feedback response/bug/task work items. Test result console logs that are captured in .trx files are extracted and published as test result attachments (Figure 91). You have an option to preview them in Tests tab, and do not need to download the trx file to view logs anymore. We have added a new 'Test result trend' widget to the Widget Gallery (Figure 92). Use this widget to add a test result trend chart of up to 30 most recent builds for a build definition to the dashboard. Widget configuration options can help you customize the chart to include pivots like passed test count, failed test count, total test count, pass percentage, and test duration. It is a recommended practice to use Release Environments to deploy applications and run tests against them. 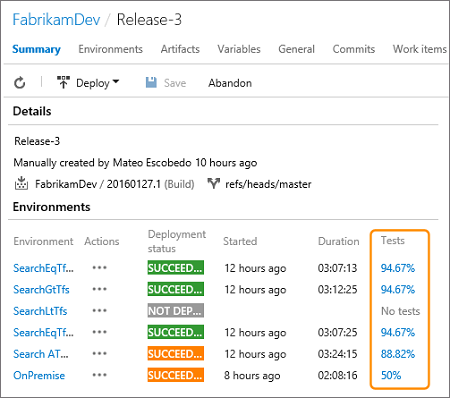 With this release, we have integrated test pass rate of Release Environments in the Environments section of the Release summary page (Figure 93). As shown in the screenshot, if an Environment has failed, you can quickly infer if the failure is because of failing tests by looking at the Tests column. You can click on the pass rate to navigate to the Tests tab and investigate the failing tests for that Environment. It is a common scenario for an individual test to run on multiple branches, environments, and configurations. When such a test fails, it is important to identify if the failure is contained to development branches like the master branch or if failures also impact release branches that deploy to production environments. You can now visualize the history of a test across various branches that it is testing by looking at the History tab in Result summary page (Figure 94). Similarly, you group by the Environment pivot to visualize the history of a test across different Release Environments in which its run. Users can now track the quality of their Requirements right on their Dashboard (Figure 95). We already have a solution for Requirements quality for our Planned testing users and we are bringing it to our users who follow Continuous Testing. Users are able to link automated tests directly to Requirements and then use Dashboard widgets to track the quality of Requirements you are interested in tracking, pulling the Quality data from Build or Release. We have enabled tests from within an assembly to be distributed to remote machines using the Run Functional Tests task (Figure 96). In TFS 2015, you could distribute tests only at the assembly level. This is enabled using the check box in the task as below. 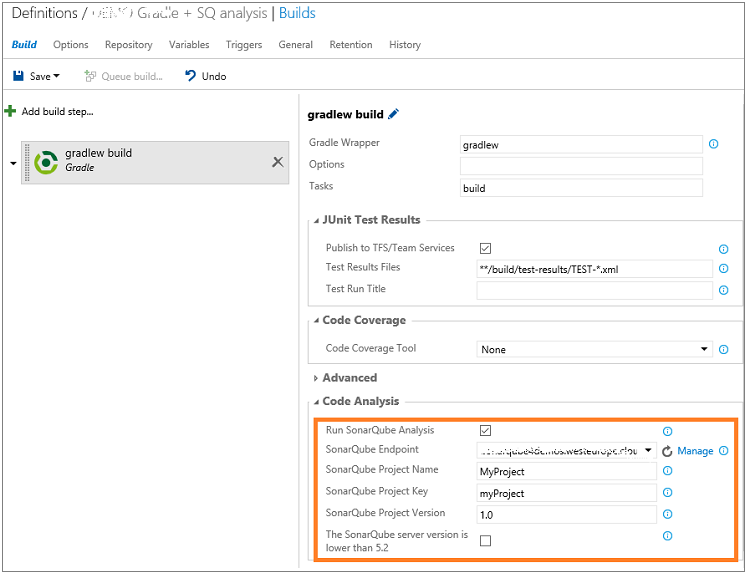 You can now trigger a SonarQube analysis in the Maven and Gradle build task by checking 'Run SonarQube Analysis', and providing the endpoint, the SonarQube project name, the project key, and the version (Figure 97). You will also now get a link on the SonarQube project (Figure 98). You can request a full analysis to see the quality gates details, and choose to break the build if they are not met. 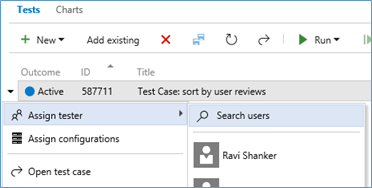 Project collection administrators can now browse to the Visual Studio Marketplace from a Team Foundation Server and install free extensions in a team project collection. 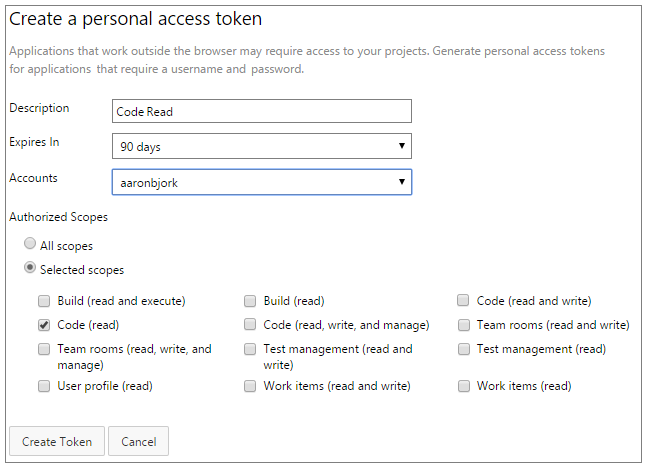 The extensions are automatically downloaded from the Visual Studio Marketplace, uploaded to the Team Foundation Server, and installed in the selected team project collection (Figure 99). 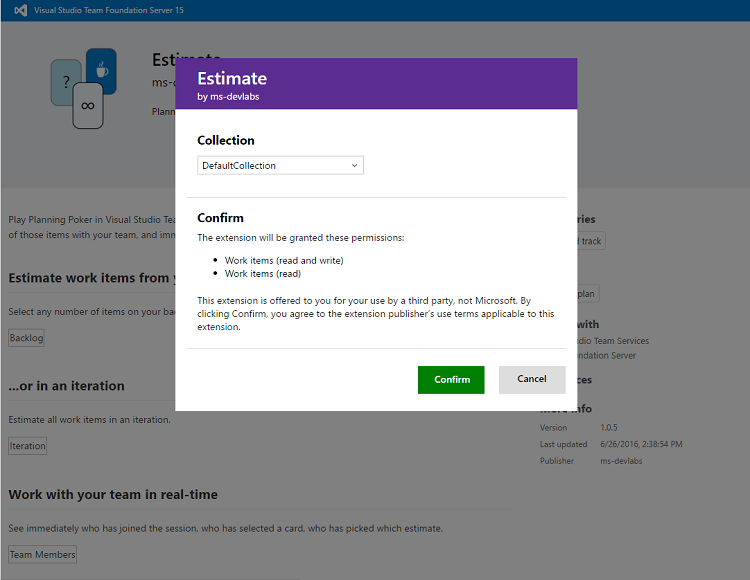 Project collection administrators can now browse to the Visual Studio Marketplace from a Team Foundation Server, buy paid extensions, and install them in a selected team project collection (Figure 100). 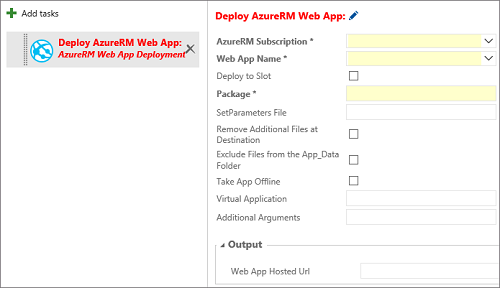 The administrator can pay for extensions with an Azure subscription and select the number of users to assign these extensions. 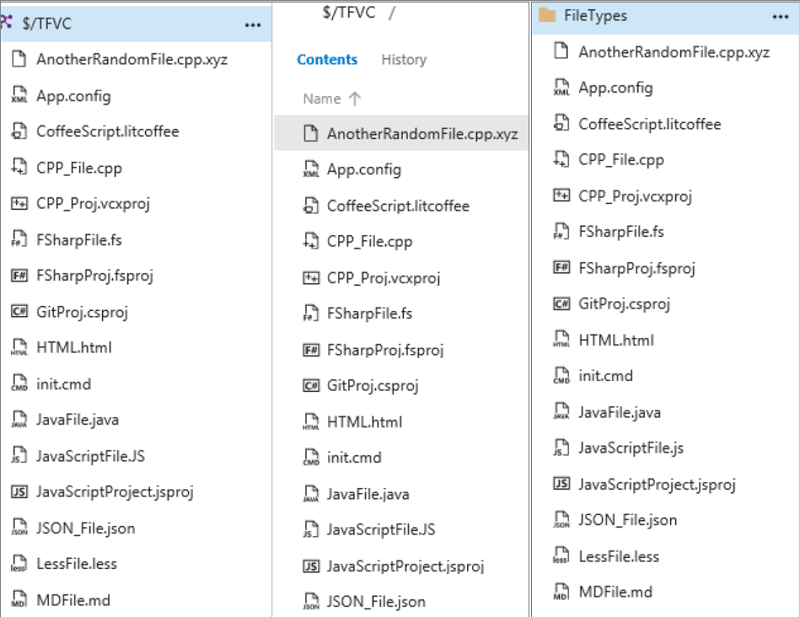 These extensions are automatically downloaded from the Visual Studio Marketplace, uploaded to the Team Foundation Server, and installed in the selected team project collection. 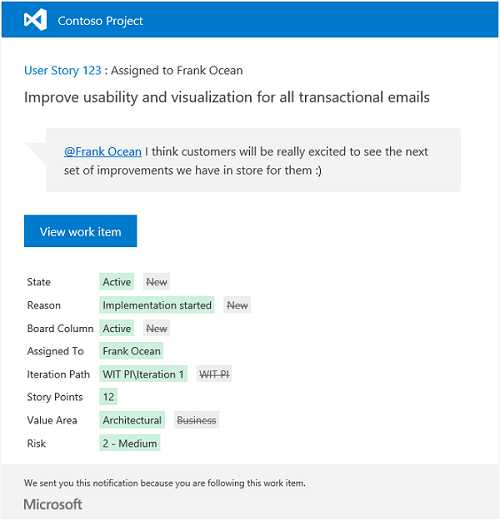 For more details, see Get extensions for Team Foundation Server documentation. 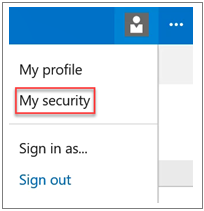 In previous releases, you needed to decide between NTLM and Negotiate security support providers for Windows Authentication when configuring a domain-joined TFS deployment. In 2017, we removed this setting from the configuration experience. If you want to continue using NTLM authentication in 2017, you do not need to take any action. If you had been using Kerberos authentication and want to continue doing so in 2017, you do not need to take any action. TFS 2017 now always configures both the Negotiate and NTLM security support providers, in that order. With this configuration, Kerberos authentication is used where possible, providing enhanced security. When Kerberos cannot be used, NTLM authentication is used. We did extensive testing to ensure that there would not be any impact on existing TFS deployments using NTLM authentication due to this change. Since this is a big change for our users, and the feature is still being iterated on, we decided to have the new navigation UX off by default. If you want to play with it, you can enable it by going to the Team Foundation Server admin area Control Panel and choosing to "Turn on new navigation". Please note that it enables it for all users in the server. We have introduced a new "Work" hub in the Admin settings page that combines general settings (Figure 101), Iterations, and Areas in a single tab. With this change, users will see clear differences between project-level settings and team settings. For team settings, users will only see areas and iterations that are relevant to their team. 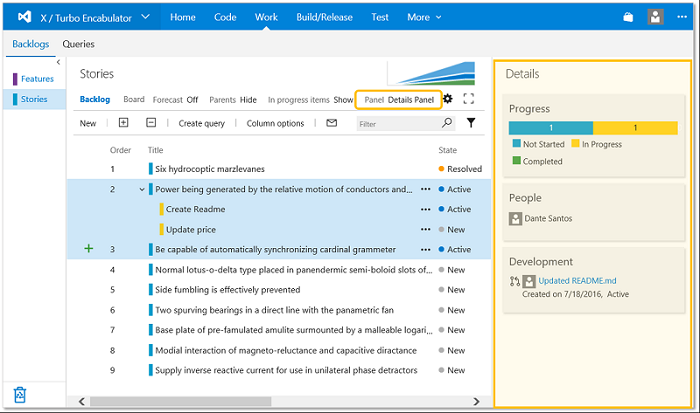 At a project level, the settings page will enable admins to manage areas and iterations for the entire project. Additionally, for project area paths, a new column called "Teams" has been added to make it convenient for admins to tell quickly and easily which teams have selected a specific area path. TypeFields: abstractions of customizable fields that are used in the agile tooling. For example, the type of the "Story points" field is "Effort". Team Foundation Server 2017 introduces a new experience to manage groups and group membership. You can search in active directory or local machine users/groups using prefix based search criteria on user/group name(s). For example, 'John D' as well as samaccountname (e.g. 'businessdomain\johbdnd') and see the contact card of a user/group. You can manage your personal access tokens and SSH in the new "My Security" experience (Figure 102). Users who were using "My Profile" to manage SSH will now need to manage their SSH public keys in the user security settings (Figure 103). In previous releases, you would pick one of multiple configuration wizards for your TFS deployment depending on what you were trying to do. The Basic and Full wizards could be used to configure a new deployment; the Upgrade wizard could be used for production and pre-production upgrades; and the Application-Tier Only wizard could be used for a variety of scenarios, including scaling out an existing deployment, replacing an application tier with new hardware, and so forth. In TFS 2017, all of these scenarios have been unified into a single Server Configuration Wizard, which guides you toward and then through each of these scenarios by asking you to make simple choices. Additionally, advanced configurations like pre-production upgrades and clone existing deployment now automate actions that used to be done through tfsconfig.exe, including changing server IDs, remapping database connection strings, and removing references to external dependencies (which used to be done with tfsconfig.exe PrepareClone). You can now connect to any Team Foundation Server using a personal access token in addition to SSH (Figure 104). This is helpful if you develop on Linux or Mac and would like to use in any automation tools and GIT. You can manage your personal access tokens from the user security settings page. We are excited to let you know that most of the previous Power Tools have been integrated into TFS 2017. 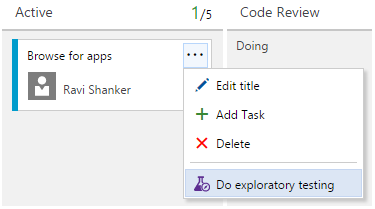 Unfortunately, the Process Template Editor has not been integrated, but you can get it in the Visual Studio Marketplace. Customers that have a work item page extension installed, who export a work item type definition then import that definition, will get the following error: "The 'LayoutMode' attribute is not declared". There is an extra LayoutMode attribute on the PageContribution element each time you export a work item type definition. Before importing the definition, search for the PageContribution mode and remove the LayoutMode attribute. For example, remove LayoutMode="FirstColumnWide". When using NuGet 3.4.3 or greater, the NuGet Restore task does not restore packages from NuGet.org unless it is an explicit source in the NuGet.Config. When using Team Foundation Server / Package Management, NuGet build and release tasks will not authenticate to feeds if the agent is running as a NETWORK SERVICE user, which is the default when the build agent runs as a service. This happens because versions of NuGet before 3.5 use the credentials of the user account running the build agent, not the credentials provided by the build task. If you downloaded an extension from the Visual Studio Marketplace, published it to your TFS 2015 installation, and then upgraded to TFS 2017, the extension is not automatically updated when new versions of the extension are published to the Marketplace. Option 2: In case the group is a team, instead of searching by team name, navigate to this team's Alerts Administration page to manage subscriptions. 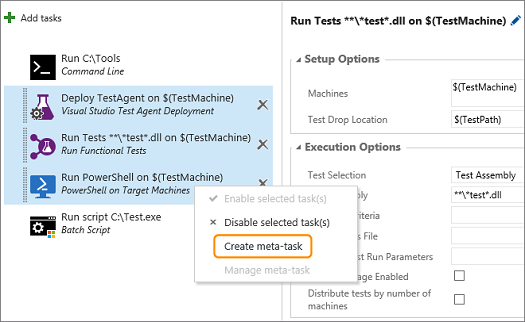 Running functional tests in Team Build / Release Management using 'Visual Studio Test Agent Deployment' and 'Run Functional Tests' tasks from the task catalog currently uses Agents for Visual Studio 2015 Update 3 and can only be used to run tests built using Visual Studio 2013 and Visual Studio 2015. 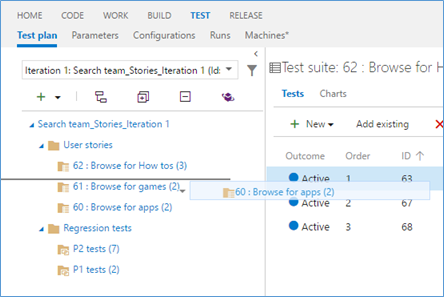 These tasks cannot be used for running tests built using Visual Studio 2017 RC. For more details, please refer to this blog post. If you upgrade a prior version of TFS to reach TFS 2017 and are running TFS 2017 in connected mode then your extensions will not be auto-updated as they should be. There is no workaround at this time. We have fixed the issue and the auto update behavior will reach you through TFS 2017 Update 2. If for any reason you cannot wait for Update 2 then reach us through the Support channel and we shall share the fix earlier. If you encounter issues that are preventing you from deploying in a production environment (Go-Live), please contact Microsoft product support. (English only) U.S. business hours only (M-F 6a-6p PST), 1 business day response. See customer-reported issues reported for Team Foundation Server 2017.